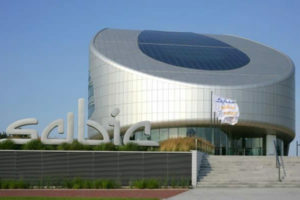 The Saudi leading chemical industry, Sabic, has notched a memorandum of understanding (MoU) with UK-based Plastic Energy to recycle mixed plastic waste back to the original polymer in Europe. Under the deal, Plastic Energy will supply feedstock to support Sabic’s petrochemical operations in Europe, Trade Arabia reports. Both partners are planning to build a first commercial plant in the Netherlands to refine and upgrade a valuable feedstock, known as TACOIL. TACOIL, a Plastic Energy product will be obtained via the recycling of low quality, mixed plastic waste otherwise destined for incineration or landfill. The future plant in the Netherlands will be operational in 2021. The UK-based firm, a pioneer in chemical plastics recycling, already has two plants in Spain, said Carlos Monreal, founder and CEO. The company boasts a technology team with 10 years of experience in the area.